After a successful deafening run on hosting a political talk show, Tomi Lahren has already made a huge name for herself in the political world soaking up all the attention just at the age of 26 and is considered a rising star in conservative commentary. Fans of the gorgeous commentator have shown a keen interest in her love life. Talking about her personal life, she has dated Navy SEAL Jerad Christian. Well, not only the army, people were all talks about her relationship with Chase McNary when they were spotted getting cozy but the news has faded. Fans have been dying to know about her current relationship status. So is she linked to someone currently or is secretly married? Scroll down to know about Tori's love partner! Political Commentator Tori Lahren's Relationship: Who Is She Dating Now? 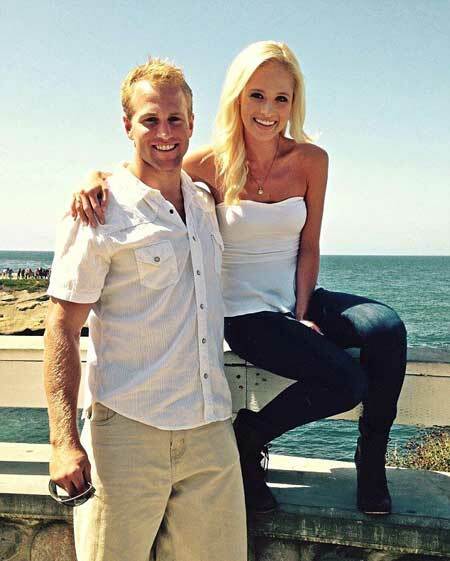 Looks like Tomi Lahren has found someone to love again! The 26-years-old political commentator has been much secretive when it comes to her love life but well, she can't just hide everything from the eyes of a camera. If you do follow her on social media, you would surely know that she is dating a guy named Brandon Fricke who is a former Central Michigan player and currently is the Assistant Director of Football Operations at Vanguard Sports Group. No actual details about their relationship are known out in public but she first posted a picture with her handsome boyfriend on 21st of May this year and Brandon posted the same picture a weeks before on 13th May from which we came to know about their relationship. The couple has shared several pictures with each other and is spending quality time in their lives. Lahren last posted a picture one week ago in which Brandon is seen with two older people who seem to be his parents. They certainly seem to be happy about everything. Lahren has not talked about her new boyfriend out in the public but still, their amicable relationship is something to look forward to. Let us hope that she discloses some details on her love life pretty soon. 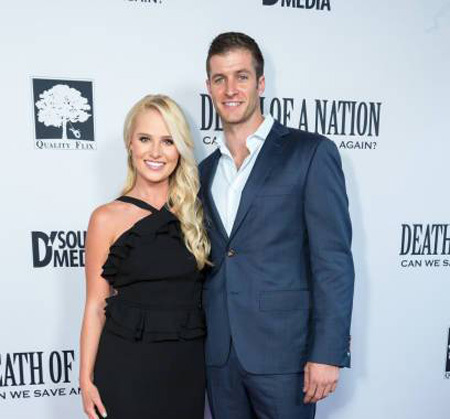 Tomi Lahren Dated A Navy SEAL: Know About Her Past Relationships! This is not only the time Lahren has been linked with someone. There were rumors about her relationship with The Bachelorette season 12 standout Chase McNary. "Nothing serious yet. Nothing really serious. I mean, traveling a lot, obviously a lot of attention. Just trying to figure out what's real and what's true." During late 2016, a number of pictures popped up on social media of the duo spending some quality time together which raised rumors about their relationship. Turns out the rumors were a little truth about the assumed couple. He confirmed that they were closed for a short period of time but things got pretty messy. He tells that they were closed for a few weeks but were not on matching terms. "We were talking for about two weeks, but we weren’t in the same place, so we went our separate ways. I have nothing bad to say about her. She’s a great girl." Notably, it cleared out the speculations about the couple which turned out to be a little true. Before seeing McNary, she was romantically linked to Navy SEAL, Jerad Christian. "Jerad is currently on a secret mission and Tomi is very much in love with him. She's so proud he's fighting for America. Tomi believes in him and what he and all our troops are doing for his country. She said the reason she did the final thoughts segment was that the issues resonated with her because of Jared, he's her hero." The former couple met during a night out in San Diego in February of 2015 and soon fell in love. The couple was spotted several times together and Tomi posted several now-deleted pictures of the couple enjoying their lives with each other. News about their dating status was all over the internet but soon faded out. Maybe him going to overseas for his work might have been the reason behind their split. She was born on 11 August 1992. Her birthplace is Rapid City, South Dakota. Graduated from the University of Nevada, Las Vegas in 2014. Got her own political talk show before she turned 22. She has been called a racist several times but denounced the "alt-right". Donald Trump called to thank her. Describes herself as a "constitutional conservative". Stands at the height of 5 feet 5 inches and weighs about 57 kgs. Her net worth is estimated to be $3 million according to Celebrity Net Worth. Her birth sign is Leo.